Drita Bruci is the Principal Broker/Owner of RE/MAX Realtron DB Realty Brokerage. Together with her son, Lou Bruci, she has been serving clientele for many years with an unsurpassed level of customer service. Specializing in mid to high-end residential properties in the Greater Toronto Area, Drita’s team is continuously recognized as one of the leaders in the Real Estate industry. Their unique, innovative marketing techniques and strong negotiating skills have helped them rank in the top 1% of all RE/MAX® agents in North America. Drita’s success has been tremendous. Working with leaders of the real estate industry, RE/MAX®, building luxury homes for decades, and her dedication to the real estate industry, combined with a passion for architecture and design have allowed Drita and her team to be continuously awarded with highest awards: 100% Club, Executive Club, Platinum, Chairman, Hall of Fame, and Life Achievement. In 2012, Drita was the number #1 agent in her office. Lou Bruci works alongside Drita and her team. His market knowledge is based on more than just his years in the business. Raised in a family of builders and Real Estate Brokers, and having attended The University of Toronto with a major in Architecture, he has a strong understanding of the design process, materials, and construction of a home. He knows what details to look for that will create lasting satisfaction in a client’s new home. His strong passion for interior design and decorating, along with keen attention to details, allows Lou to professionally find a fit between clients and the properties they are considering. 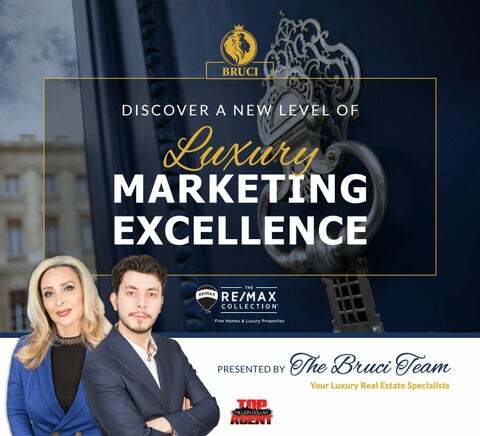 As a leader in marketing GTA’s most luxurious properties, Drita and her team have achieved unparalleled success due to strong negotiation skills and extensive knowledge of different markets in the Greater Toronto Area. With a focused digital marketing plan, powerful organic web presence, and unmatched level of traditional customer service, Drita Bruci and her team stand out from the crowd. Our personal mantra in business and in life is to always treat people with the respect you want in return. It is with this understanding that we are able to create and work in an environment of trust, integrity, and shared respect. Lou Bruci was chosen among thousands of other agents to run the series, Top Million Dollar Agent. His show can be seen on TV, Netflix, and many other networks worldwide. RE/MAX REALTRON DB 2815 Bathurst Street | Toronto, ON M6B 3A4 416.318.8452 Each Office Independently Owned and Operated. •	Co-Owner and CEO of Royal Elite Homes, Inc.
•	Co-Owner and CEO of Luxury Villas, Inc.
GUARANTEED SELLING AND BUYING PROGRAM* *terms and conditions may apply. •	Pay-per-click advertisement on major search engines (e.g. Google) and social media sites such as Facebook, Instagram, LinkedIn, etc. #1 RE/MA X CANADA! The elite professionals at RE/MAX Realtron Realty believe true success comes from elevating the expectations of others. When you can help people achieve more than they ever thought possible, good things always follow. Since 1985, this simple philosophy has continued to fuel the growth of RE/MAX Realtron Realty. From the owners to the sales representatives and the support staff, every team member believes that getting more out of life begins with expecting more from yourself. It comes from never settling for “ordinary” when “extraordinary” is always within reach. And it’s a result of always focusing on future growth instead of dwelling on past accomplishments. Indeed, these are the defining qualities of Toronto’s premier real estate company. The hundreds of highly motivated professionals who comprise RE/MAX Realtron strive for more in everything they do, which is why they are proud to invite you to Elevate Your Expectations when it comes to buying or selling real estate throughout Greater Toronto. A CULTURE OF SUCCESS With multiple offices and hundreds of leading sales representatives throughout Ontario, RE/MAX Realtron is forever “raising the bar” on real estate service, creating a unique culture of success that allows their sales representatives to excel. ELEVATE YOUR EXPECTATIONS Since day one, RE/MAX Realtron has been a company focused on the future. That strict focus translates into the best technology, the best training, the best service and, most importantly, the best results for you and your family. Whether you’re buying, selling, or investing in local real estate, our professionals’ heightened expectations will ensure you make the most out of your real estate opportunities. RE/MAX Realtron agents are well known locally, nationally, and internationally for their involvement in many community programs. They are committed to working in their local community to serve their clients’ real estate needs, as well as being a part of the daily lifestyle. FOSTER PARENTS PL AN RE/MAX Realtron is very proud to be a major sponsor of Foster Parents Plan, a member of Plan International, a humanitarian, child-focused development organization working with families and their communities to meet the needs of children around the world. Non-political and with no religious affiliations, Plan International aims to build a better world for children, now and in the future. RE/MAX Realtron Realty currently sponsors more than 60 children, with a long-term goal to sponsor 100 children as part of their responsibility to the Human Community on Planet Earth. MARKET SHARE AND AGENT PRODUCTIVIT Y RE/MAX associates average more sales than any other real estate agents in the world. BR AND NAME AWARENESS RE/MAX is the most recognized brand in real estate. 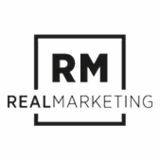 Their national advertising campaign positions the RE/MAX name in front of millions of buyers and sellers all over the country and is designed to keep the brand, as well as Remax.com, top-of-mind when someone decides it is time to buy or sell their home. ADVERTISING RE/MAX has the real estate industryâ&#x20AC;&#x2122;s strongest presence in national television advertising, helping to make the RE/MAX hot air balloon one of the most recognizable logos in the world. WEBSITE TR AFFIC AND ONLINE SEARCHES Remax.com is the most highly visited real estate franchise website in the world, attracting over 77 million visitors annually who can view your home in over 43 languages. PROFESSIONAL EDUCATION RE/MAX agents lead the industry in professional designations, awards, and recognition. NUMBER OF COUNTRIES SERVED RE/MAX has a presence in over 100 countries, with over 100,000 agents and numerous partner organizations around the world. Only the most exceptional homes qualify for status in The RE/MAX Collection — homes that reflect your desire for luxury, character, quality, and beauty. Just as the properties presented in The RE/MAX Collection stand above the ordinary, so does the RE/MAX sales force. No one is better suited to meet your needs. Whether it’s marketing real estate to a global clientele or helping you find that perfect place you’ve been dreaming of your entire life, the outstanding agents behind The RE/MAX Collection deliver outstanding results. ©2018 RE/MAX, LLC. Each office independently owned and operated. Data is year-end 2017, except as noted. Coldwell Banker, Century 21 and Sotheby’s data is either as reported by Realogy Corporation on SEC 10-K, Annual Report for 2017 or from company websites or industry sources; Keller Williams, Royal LePage, Sutton, EXIT Realty, Realty Executives and HomeLife data is from company websites, the Canadian Real Estate Association and industry reports. 1MMR Strategy Group study of total brand awareness of real estate organizations among buyers, sellers, and those planning to buy or sell. Â©2018 RE/MAX, LLC. Each office is independently owned and operated. All figures are full-year or as of year-end 2017, as applicable. Tapping the global scope and phenomenal presence of the RE/MAX international network gives RE/MAX a unique and powerful advantage over any other real estate company in the world. Having access to thousands of international referral sources is key to finding qualified buyers and sellers. Through a network of over 100,000 associates in over 100 countries, RE/MAX has the inside track on buyers and sellers around the globe. Our mutual objective is to sell your home: FOR THE HIGHEST POSSIBLE PRICE › IN THE SHORTEST AMOUNT OF TIME › WITH THE MOST FAVOURABLE TERMS Prior to any marketing strategies being implemented, it is critical to go through a process of discovery — determining the fair market value, surveying current market conditions, and reviewing the variety of factors that will help us prepare your home for sale. Selling luxury homes requires a different level of expertise, strategy, and exceptional marketing to the right buyers, which are keys to maximizing the true value of your home. The “Window of Opportunity” is the period in which your home will receive its maximum exposure — typically when your home is new on the market. In order to capitalize on this window, it is crucially important that your home is ready for sale. We will price it at Fair Market Value, prepare to showcase its features and attributes, and implement a marketing strategy to further increase its exposure. According to real estate convention, the three most important criteria to consider when buying a property are: LOCATION, LOCATION, LOCATION. In fact, buyers are often attracted to a general location, a neighbourhood, or even a certain street well before settling on a specific home. Understanding your location’s positives and negatives are important when determining price and very significant in the marketing of your home. Misconceptions, preconceptions, and knowing the nuances of your home can make a significant difference in how a home is marketed, when it is shown, and how it is positioned — one person’s displeasure can be another’s delight! First impressions are lasting. Preparing your home is one of the most difficult, emotional, and critical steps to maximizing its value â&#x20AC;&#x201D; together we will review, recommend, prepare, and create an environment that is appropriate for the type of buyer looking to purchase your home. No matter how stunning, loved, or well-maintained, it is important that you view your home with critical objectivity. Whether it needs simple changes or major repairs, these should be addressed before the home is listed. PROFESSIONAL PHOTOGRAPHY Photography must reflect your property. Whether in print or on the web, these photos are often the first impression that a potential buyer will receive. Take advantage of new technology to showcase the true essence of the property within its environment, especially if your buyer is from outside your local area. Lifestyle videos provide a realistic depiction of the intended space and livability. A photo shoot is the time when a home must shine â&#x20AC;&#x201D; both figuratively and literally. A fully prepared home that is clean, tidy, with clear sight lines, and shot in its best natural light, will speak volumes to the viewer before and after the home is visited. Sophisticated and professionally prepared marketing is essential to maximizing your home’s exposure and requires more than just listing the property for sale on the Internet and REALTORS® listing service; it needs to be a carefully prepared, strategically implemented plan. Your home must become a highly prized item, launched on the market with maximum impact, to create the right exposure and reach the right buyers. YARD SIGNS AND DIRECTIONAL SIGNAGE The trusted yard sign is the #1 way to show your home is for sale. It is fast, effective, and easy to spot. Directional signs help guide people to the home. PUBLIC AND PRIVATE SHOWINGS Broker tours, open houses, and caravans are ways that other real estate agents see your home and recommend it to their potential buyers. This is why preparing the home is so important — sometimes real estate agents are more particular than buyers. LUXURY ADVERTISING For luxury homes, local advertising is not sufficient — these unique homes need exposure to the elite and discerning. We showcase your home to these affluent buyers through publications such as The Wall Street Journal, Unique Homes, DuPont Registry, Ocean Homes, The RE/MAX Collection Magazine, and JamesEdition. NET WORKING AND REFERR AL S Real estate agents have a large database at their disposal, particularly their networks with other agents. Referrals are especially important in the luxury market, as you will want to work with a well-respected agent with an extensive network of contacts. CLHMS DESIGNATION AND MEMBERSHIP Working with an agent who is fully certified in luxury marketing is critical as you look to maximize the exposure of your home. Their knowledge, expertise, and access to a unique and targeted network are second to none. WEB EXPOSURE 95% of buyers look at homes online as their first step in the homebuying process. This trend will continue to increase over time. Placing your home online allows the home to be seen locally, nationally, and internationally, whether it is on a computer, tablet, or cell phone. VIRTUAL TOURS / ONLINE VIDEO MARKETING Creating a digital experience and footprint is an integral part of advertising in the 21st century. For an exclusive and detailed list of specifications for this magnificent home, contact Lisa Groth today at 623.293.0172. If you would like to have your home professionally marketed, call Lisa Groth today at 623.293.0172. This brochure is not intended to solicit properties already listed for sale nor intended to cause a breach of an existing agency relationship. E&OE. Jonathan and Angela-Marie, If you would like to have your home professionally marketed, call Lisa Groth today at 623.293.0172. 623.293.0172 LISA NEGOTIATED THE SALE OF THIS HOME FOR 100% OF CLIENT ASKING PRICE IN 2 WEEKS! With nearly 95% of home buyers beginning their search on the Internet, we will want to ensure that your home receives maximum online exposure. As part of my marketing plan, your home will receive unparalleled exposure to consumers and REALTORSÂŽ across the globe through my extensive online partnerships. Your home needs to be ‘show ready’ at all times — this can be difficult to balance if you are still living in the home. However, we must ensure preparations are done up front — unnecessary items removed, space created, and a plan implemented for the best times to show the home — then the final prep and inviting touches are easy for us to add around your busy schedule. Each and every buyer will be pre-qualified. During the showing, a fully guided tour will be provided to ensure that the features and nuances are showcased and explained to maximize the perception of value. The market analysis report is compiled from a system that tracks your showings, all REALTORÂŽ and buyer feedback, as well as our marketing effectiveness on your home. This report provides you with an in-depth analysis and a comprehensive list of actions, recommendations, and objectives. A myriad of details must be attended to before the sale becomes final, including offers, counteroffers, inspections, disclosures, contingencies, loan documents, insurance, mortgage approval, and closing items. This final step can be overwhelming with all its moving parts. Whatever the next step may be, know that we are here to guide you through this final process â&#x20AC;&#x201D; to keep in constant communication, track the proceeding, and to keep things on schedule. If you are looking to buy or sell another property, let our knowledge of your requirements, needs, likes, and dislikes be the foundation of a new search â&#x20AC;&#x201D; from finding the perfect buyer to locating your next dream home. In the world of luxury, it takes more than just searching for a home on the Internet, so allow our extensive network of connections, strong marketing skills, and exceptional knowledge open the right doors. Where are you thinking of moving — local or out of town? Do you have a budget? What do you and your family need from your next home? Are you looking for a turnkey or renovation property? What are your essential requirements during our search? Are there any financial considerations? When is the ideal time for you to move? This information will enable a qualified search. Equally, it is important to ensure that we research the true value of homes and that their current selling price reflects an amount that the property is “worth” to you. When helping you look for a property, we will make recommendations based on our experience and local knowledge, in addition to having access to a variety of technology, a wide network of area agents, and homes not yet on the market. A comparison chart and thorough objective inspection of each home, combined with such factors as market data and resale potential, will help in narrowing your search. By building a checklist, we can better evaluate each home and review together the important criteria of homes visited. And when you find that perfect home, we will help negotiate the best offer based on the condition of the home, length of time it has been on the market, activity, location, and urgency of the seller. Ultimately, we will protect and represent your best interests. We would like to thank you for giving us the opportunity to present this preview of the marketing services we can offer you and your property. We would be pleased to assist you with the sale of your present home and the purchase of your next home, and the next one, because we are not just providing a service, we are building a relationship. Please let us know when we can be of service. Call us before you make any important real estate decisions; youâ&#x20AC;&#x2122;ll be glad you did.